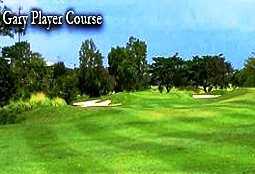 There are some fantastic Philippines Golf Courses dotted all over the many, many islands that make up the Philippines. If golf is more like a religion to you and you cannot be separated from chasing your white ball all over manicured lawns, hills, over water obstacles and even the odd sand trap, then you should stop and have a hit in some Philippines Golf Courses. 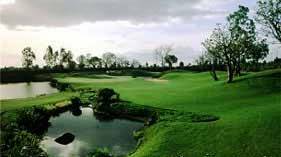 Manila has a wide variety of golf courses designed by some of the truly greats of the sport, Jack Nicklaus, Greg Norman, Robert Trent Jones Jr, Gary Player and Arnold Palmer. 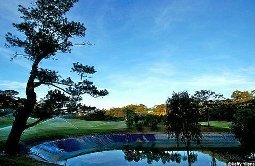 If you want some world class Philippines golf courses that are easily accessible from Manila then you should try the ones I have listed below. All of these Philippines Golf Courses are within an hour and a half of Manila, but then again,, Manila traffic being what it is, a great big moving animal, you may want to try accommodation closer to the particular Manila golf course. 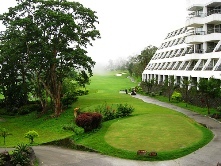 Camp John Hay Golf Course is in Baguio and is real cool, literally that is. Being at a higher elevation the city misses out on the humidity of the coastal areas. A welcome relief from the heat, but that does not mean yo have to miss out on your favorite sport! 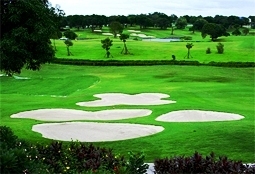 Canlubang Golf & Country Club was designed by Robert Trent Jones Jr. There are two courses here, North & South Canlubang. The Canlubang North course is renowned for it’s size, it is huge, not just the length of the holes but the fairways and greens too! It has the works, gullies, rolling fairways, oh and did I mention the massive trees? Yep even the trees here are big! One thing you will need when you play the Canlubang Golf South Course is a good tee shot and you will love the third hole as you tee off over a massive gulley! As you play the South Canlubang Golf Course you will be treated to some spectacular views of Laguna de Bay and the Sierra Madre Mountains. 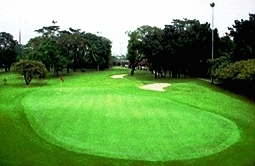 The Club Intramuros Golf Course is not a particularly long 18 hole golf course, but it is quite unique. This Philippines golf course is inside the walled city of Intramuros, which is in the heart of Manila, not too far to travel if you are staying in a Manila hotel! Just perfect! 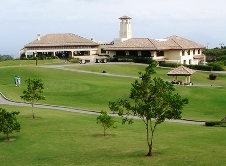 Have a look here for more information on the Intramuros Golf Club. 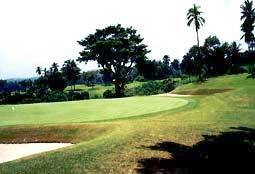 The Evercrest Golf Club & Resort is a 2 hour drive south of Manila, in clean fresh air! Hard to believe but true. 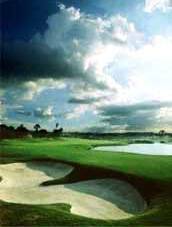 The course has some challenging holes, particularly holes 4 & 11, unless you are like me when every hole is a challenge! The clubhouse has everything you need and the gold pros are very helpful. 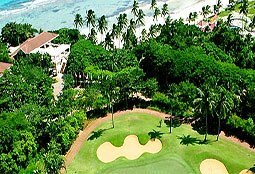 Fairways & Bluewater Golf Resort Boracay is on the beautiful island holiday destination of Boracay. The golf course is nestled in the hills with absolutely stunning ocean views, the water here is incredibly clear that laps onto the beach with it's powdery white sand. The golf course is immaculate, the resort is 5 star as is the golf! The Manila Southwoods Golf Legends Course is a pretty friendly course, which is good for me as I need all the friendliness’ I can get! Now if you are a more accomplished golfer than me, which would not be hard, then you should be able to shoot some low scores. Oh dear the Manila Southwoods Golf Masters Course. It has water on fifteen of it’s holes and no matter what I do when it comes to water, my ball lands in it, but I’m sure you will have more skill than I! Both these courses, Masters and Legends were designed by Jack Nicklaus a legend himself. If you like large bunkers and lakes then the Orchard Golf Palmer Course is the one for you. 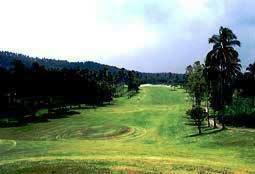 It is an extremely scenic course which wanders through mango groves, a true Arnold Palmer design. Make sure you tee off on the player Course as well. The Orchard Golf Player Course is what I call a neat open course. Not too many trees will get in the way of your golf ball here, but, there is always a “but”, the wind plays a huge influence on your shots. Your seemingly beautiful straight drive down the fairway suddenly fades and lands neatly in the water, but hey there were no trees there! The Sherwood Hills Golf Club is a nice challenging golf course designed by The Golden Bear himself. The front 9, in my opinion is more difficult than the back nine, but when the wind blows here, it effects all the holes. A great course which you can easily play again and again. 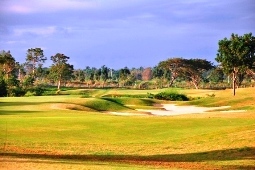 The Splendido Taal Golf and Country Club is a Greg Norman designed golf course. It is situated in Tagaytay, which is roughly about a 2 hour drive from Manila. The golf course was literally dug out of the hills and has long rolling (up and down) fairways. No matter what Philippines Golf Course you would like to play, all of them if you want, they are all different and challenging in diverse ways. There is a golf course in the Philippines just for you and you will not be disappointed in any way.